Your new position had been unfilled for four years. What challenges do you face in this new role? There are quite a few challenges ahead in this fast-moving world and it’s imperative to represent the whole sector and lobby for common goals. We’d like to see beer appreciation increase in Belgium. 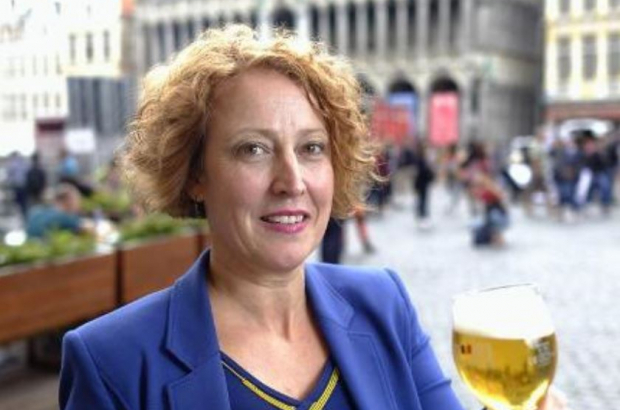 Today we export about 70% of all Belgian beers. The world recognises our craftsmanship, but nationally we are falling behind a bit. However, we emphasise enjoying our craftsmanship in moderation! The rapidly changing economic environment also poses a challenge for us, as for all sectors, in terms of Brexit, US trade conditions and climate change. Is there scope for the federation to embrace smaller, emerging craft breweries? The Belgian Brewers want to represent the beer sector as a whole and that includes small breweries. We already have 20 new craft breweries that will join us, but the goal is to double our membership by the end of 2019. You’ve been involved with biotechnology and industrial equipment sectors. How does coming from a non-beer sector strengthen the federation and the industry? As an outsider, it allows me to bring an out-of-the-box approach to directing. My experience in federations, however, makes it easier to understand the dynamics within a federation. I believe that’s an added value. However, I don’t underestimate the importance of insider knowledge of the sector you represent, so I’m currently taking a fast-track course on beer and the processes involved. You already had a passion for beer, though. How did that develop? As a child I read a book about an emperor’s visit to a medieval town and how they presented the local beer to him. That made me curious about the history of beer and beer culture in Belgium. You’re the first woman to lead the association in its 700-year history. What would you say to those who claim this is a man’s role? I’m a firm believer that the best candidate should get the job, whether this is a woman or a man. This being said, I also believe it shows that traditionally ‘male’ sectors – like the ones I used to work for too – are sending a strong signal that women can carry out a leading role just as well as men. I can only applaud the fact that the Belgian Brewers chose me to lead this federation into the future. It shows that they are not hindered by prejudice, but have an open outlook on the world. “You might have a no, but you can always get a yes.” In other words: if you don’t try, you won’t know if something will work out. I need a lot of sport to channel my energy, so cross-fit and running are two of my favourite sports. I also go hiking and love reading.